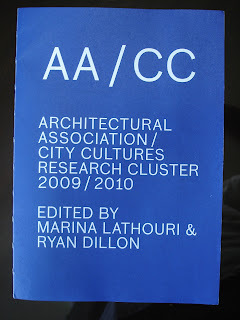 CONTRAST Designs partner, Mazin A.Karim, was recently featured in the new publication by the AA City Cultures Research Cluster, edited by Marina Lathouri and Ryan Dillon. His 'position' on the city discusses several ideas on the 'new city'. The publication also contains 'positions' by Theo Spyropoulos from the DRL, Chris Lee & Sam Jacoby also from the AA, and renowned professor and historian Peter Carl.